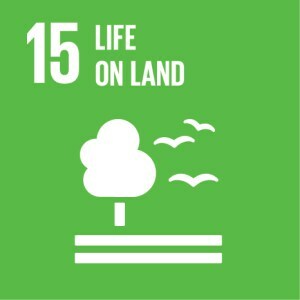 To create a living museum that enriches the quality of life by providing a place for the appreciation and study of plants and the preservation of the natural environment. 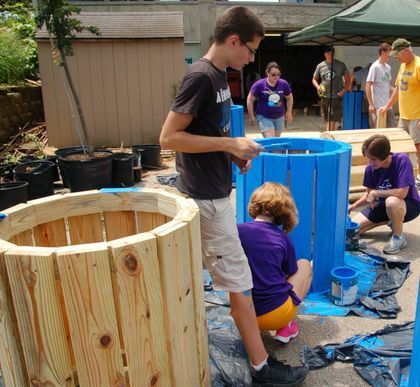 Through the years, many Boy and Girl Scout Troops have participated in service days at the Arboretum. As these young men and women help beautify the grounds, they are learning the value of service to their community, and the importance of public horticulture. Volunteers help with the planning, construction, and utilization of special highlight areas throughout the Arboretum, assist with the planning or implementation of events and programs, or volunteers who have backgrounds in education or horticulture help the Arboretum staff in our classes and tours. Church youth groups, corporations, high schools and other community organizations are invited to participate in a volunteer project. When your entire group gets involved, everyone has fun working together! 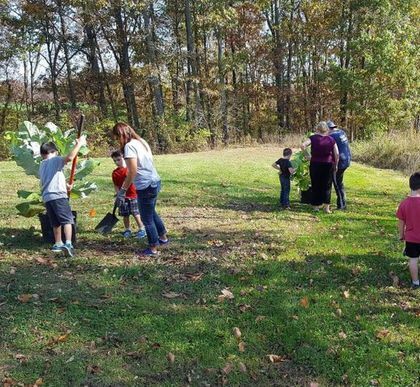 Plan your next volunteer outing at the Boone County Arboretum. Volunteers help maintain and beautify the grounds at the Arboretum through Dig in the Dirt days (Tuesday mornings) and our Adopt-a-Collection program (on their own schedule, after completing training). Volunteers donate countless hours each year to help keep the Arboretum plant collections healthy. 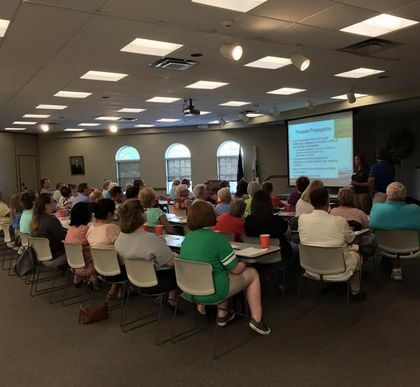 Members also contribute to planning and building future projects and additions to our facility. All these efforts will ensure enjoyment and educational opportunities for future generations. Boone County Arboretum is Northern Kentucky's premier arboretum, and one of only a handful in the Cincinnati area. Friends of Boone County Arboretum is a volunteer organization that helps increase awareness of the Arboretum in the greater community, writes for various grants, provides a "gift shop" of souvenir items, and hosts several fundraising events throughout the year such as the Dogwood Dash, Autumn Affair, and spring/fall plant sales. Hubby and I took a walk through today and wondered why all the people were there. 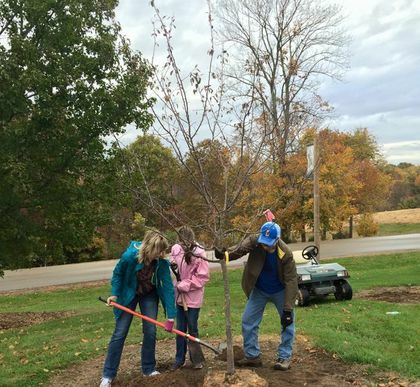 Thank you for your help in beautifying the arboretum! Awesome work! Great volunteers, Amazon! The weather looks gorgeous for Saturday! 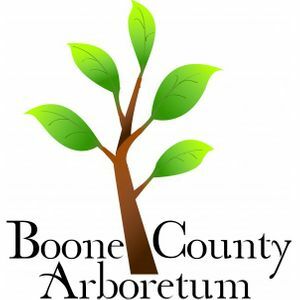 Boone County Arboretum is at Boone County Arboretum. Absolutely beautiful spring color this year. It comes and goes too quickly. My favorite time of year! Prettiest season. My favorite. Thanks for the pictures. Loving the new paved trails !! Here tonight for my kids’ soccer practice. The trail looks great! Oooh Geri Loos perfect for baby walks while Dyl runs! Thank you, thank you Boone County for finally paving these. After walking here for 15 years, I no longer worry about twisting my ankle. 🙂. It’s now a dream to walk on! !